Last week I shared with you that we received 7 babies in 7 days. I have written 335 blogs since we moved to Africa in 2012, one every single Saturday morning, without fail, but last Saturday’s seems to have struck a chord with many of you because it became my 2nd most read blog of ALL time in just 7 days. I have wondered all week what it was that made you share it more? “7 babies in 7 days” (read at: https://janinemaxwell.blogspot.com/2018/10/7-babies-in-7-days.html) had 9,300 reads in 7 days. Coincidence? Or just lucky #7? I was at the airport in Chicago when I read that and saw his photo and almost burst in to tears. And do you know what made it even better?? I was working on child sponsorship updates to send to every person who sponsors one of our children and Margie also told me that our baby girl named “Happiness”, who is ONLY 13-month-old, was very quick to welcome the “new guy” and has deliberately spent her time moving over to sit beside Comfort, bringing him special toys and making sure that he feels welcome. He is being COMFORTED by the Comforter, through another baby who was loved back to life this past year. 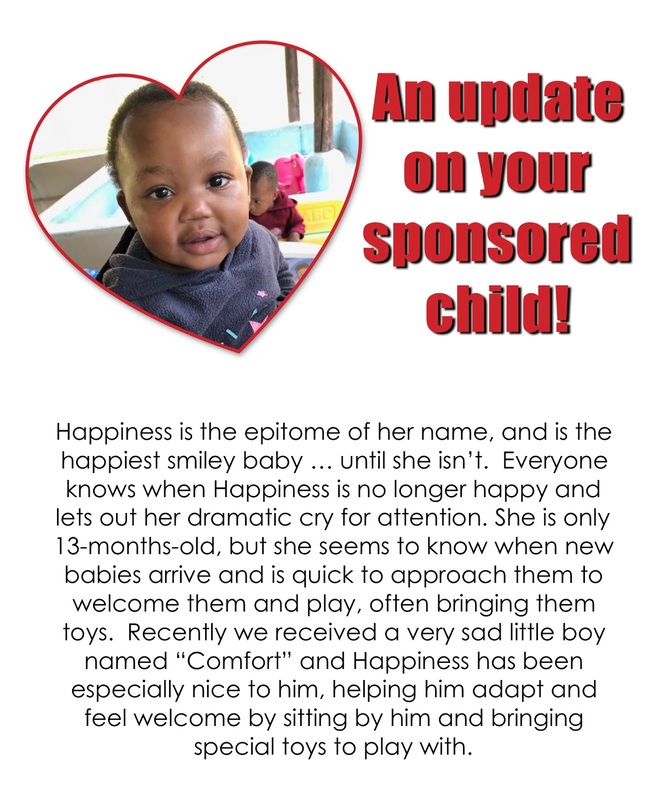 Unbeknownst to me, that is common behavior for Happiness when a new baby arrives at the El Roi Baby Home. That to me is the hand of God working right in front of our eyes, daily. From last week’s 9,300 blog reads and shares approximately 15 of our our children have been newly sponsored! THANK YOU to those of you who said “YES” and took action and joined us. We are still very much behind on funding for the 29 children who have arrived this year, so I am asking again (still) for your help. If you read this blog regularly, or if it’s your first time, please consider sponsoring one of our children today. You can make a one time gift or sign up to give monthly. 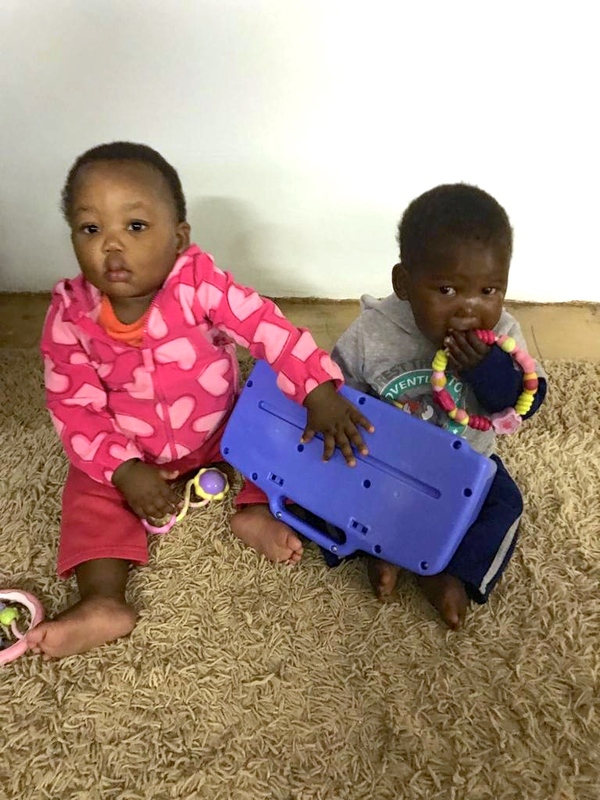 We can’t save all the children in eSwatini who are in desperate need of help, but we do our very best to help those who are brought to us through Social Welfare with the police and hospitals who see the desperate need every single day. Peace and Comfort share the exact same birth date. Live from Vancouver, Canada … I am thankful for the support of our friends.